You cannot master a sport and play it perfectly if you are using poor quality equipment. 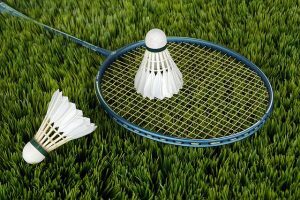 Think of how difficult it would be for you to master the game of badminton if the racket you are using has a handle that breaks easily, or if you are a cyclist using a bike that has loose pedals. You will most definitely perform poorly. Quality sports equipment can prevent accidents that tend to occur with poorly made articles. Since training and exercise involve vigorous movement, you do not want to use equipment that can fall apart while you are in motion and injure you. There have been cases of people who were fatally wounded from falls caused by poorly made equipment. Quality sports equipment last longer because manufacturers use top ingredients and technology to make them. If you invest in one, you do not have to worry about constant replacements that come when you buy cheap and low quality equipment. Quality equipment also saves on time you would otherwise spend on repairs. When you have quality equipment, you do not spend time and energy worrying over whether they will survive your next training. All you need to do is focus on your sport without thinking about whether the equipment will break, if you will be able to find immediate replacement and other complications that come with owning poor quality equipment.